Charles O’Bannon Jr. is an elite shooting guard from the 2017 class. 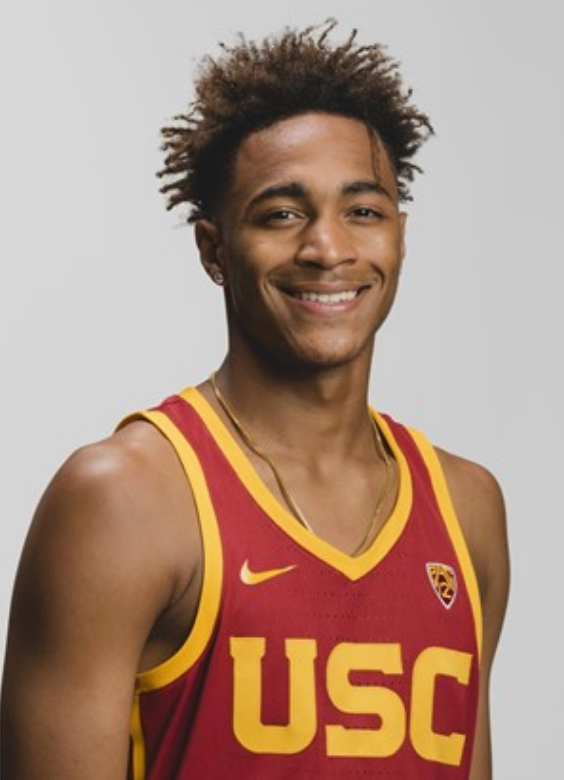 He is 6-6, 210 explosive scorer who is poised for a break out year with the USC Trojans. 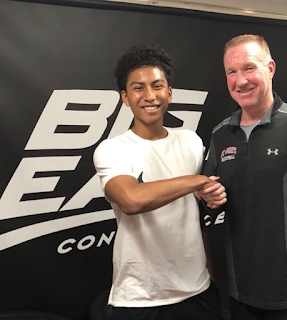 He is also the son of former NBA player Charles O’ Bannon and nephew of former NBA player and UCLA Bruin legend Ed O’Bannon. He was the 2nd ranked prospect out of Nevada, 10th ranked shooting guard, and 45th ranked prospect in the nation by 247 sports for the class of 2017. O’Bannon Jr. was also ranked 43rd in the nation by rivals and 30th in the nation by ESPN for the 2017 basketball class he received a high 4-star rating by 247 and rivals and a 5-star rating by ESPN. LJ: What would you bring to an NBA team? Charles: My style the way that I play. I feel I have like a more natural shooting touch than guys at my position. LJ: How do you describe your playing style? LJ: What are the coaches saying about your role for USC this year? Charles: They want me to play my game. One thing I’m starting to take a lot more pride in is defense. I wasn’t really a big fan of it at first but I am starting to have fun now. LJ: What has your father Charles O’Bannon and your Uncle Ed O’Bannon taught you about the game? Charles: One thing my dad put me on is the bank shot I feel like that helped me out a lot because when shooting isn’t going right you can always rely on that backboard. He also taught me the jab step, I’m not really the fastest of the guys but I tend to find my way to get around. LJ: Ed was one of the best players in college basketball when he played. What lessons has he taught you in preparing for the next level? Charles: Me and Uncle Ed have never really been in the gym like that before. Every time I was in the gym with him were playing horse. It wasn’t never really like a learning thing it would be like right before practice or something like that. LJ: You clearly have the talent but being prepared mentally means longevity in the NBA. What about your character will NBA teams like about you? Charles: I’m energetic and always involved. I like to interact with people I am a real people person. LJ: If you could pick an NBA team who would you play for? Charles: Any team that would be right for my fit and playing style but if I had to make a pick the Clippers wouldn’t be a bad fit. LJ: What player have you grown close with on USC? Charles: All my teammates. We aren’t really a team that divides. LJ: When did you start playing basketball? When did you know basketball is what you wanted to do? Charles: When I started playing basketball I was about 5. I never really wanted to play basketball I wanted to play football because I used to watch my mom’s littler brother playing football growing up. I would play basketball just to play it because I was around it. In the 7th grade I started to notice that I could do this and my AAU coaches started telling me if I take this serious I could do something with basketball. LJ: What made you commit to USC? Charles: Most the schools were going to offer the same things when it came to basketball. So it was about what a school could offer my future after basketball. LJ: What stands out about you as a basketball player? Charles: My charisma and I feel I’m able to do multiple things on the court to impact my team. LJ: What has improved the most about your game? Charles: Ball handling, I’m starting to get extreme with this ball in my hands.